I am a European Patent Attorney with 10 years industry experience and over 4 years freelance experience. If you send me a full and detailed written description of your invention, how it works and what makes it better than existing products, I will put it into the proper legal format and add claims ready for you to submit to the Patent Office. I will also prepare drawings from your detailed sketches/photos of your product. You will have an opportunity to review and comment on the first draft before the application is finalised in a second round of drafting. The first round of drafting will take around 1 month to complete. Please ignore the tag which says "delivery in 5 days". This is a "feature" of the PeoplePerHour website which I cannot adjust. 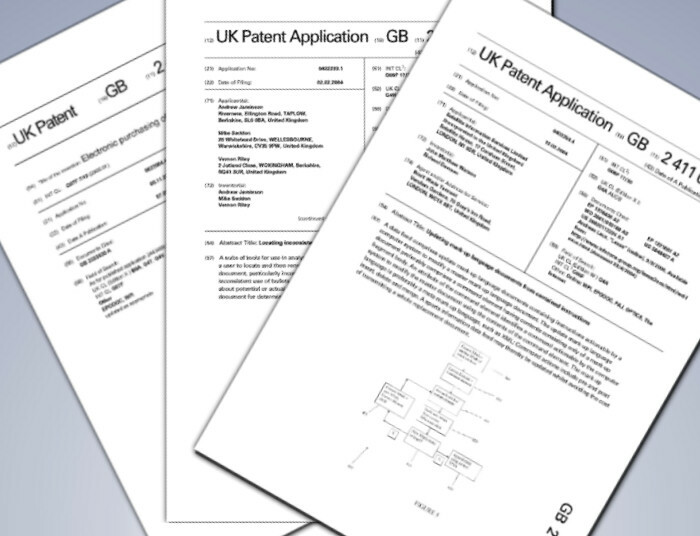 Filing patent applications online at the UK Intellectual Property Office is straightforward, but I can also help with that for an additional £200 (plus UKIPO fees). I can also help once you have received a search and examination report from the UKIPO (usually issued 3-6 months after paying the official search fee) for a charge of £300. Meetings are not needed and all work can be done remotely via the PPH interface. 1. I do not write software patents. It is too complicated to write a software patent at this price. I also cannot do biological inventions as they require very specific skills. 2. All information you send me is in professional confidence but I cannot sign an additional NDA. 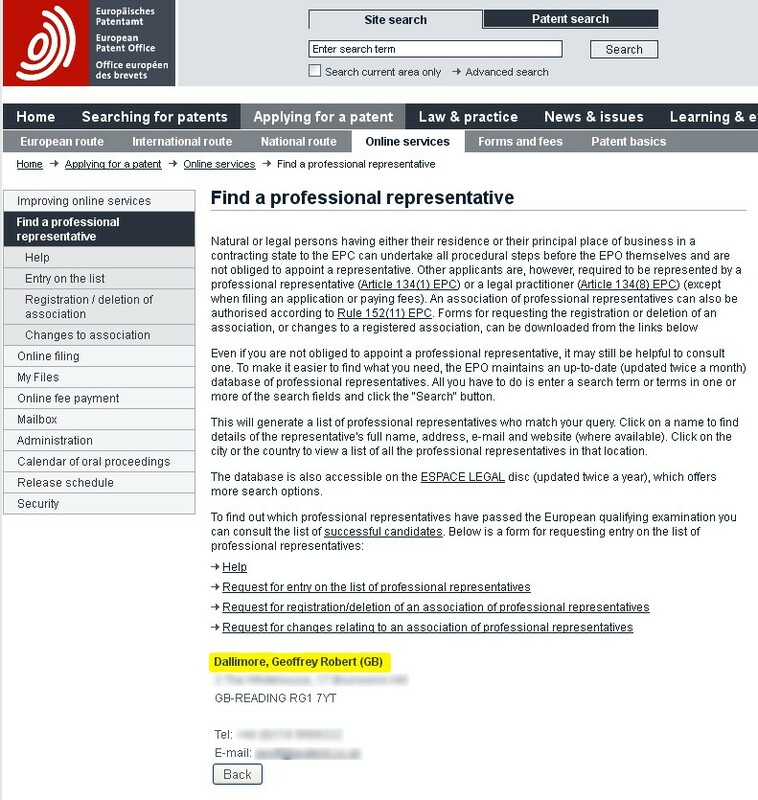 My status as a professional European representative can be confirmed on the European Patent Office website by searching under the name "Dallimore" (unfortunately I am not permitted to provide the direct link but have uploaded a screen capture). 3. I do not do prior art searching. At the prices I work at, it costs about the same to just submit a patent application and have the UK Patent Office do their official search as it would to have a full prior art search done. A full and detailed description of your invention in Word or some other editable format. This is the most important item. It must be sent to me BEFORE you buy the hourlie so that I can review it and confirm that it is sufficient for me to be able to perform the work. Sketches/photos of your product. Drawings are useful, but secondary to a written description. Geoff was excellent from start to finish, he kept me informed and with his experience undoubtedly great value for money and will definitely be using again. Very efficient work and delivers on promised deadlines. Went above and beyond in providing advise. Highly recommend. Geoff advised me well,was honest and professional.will use his services again. 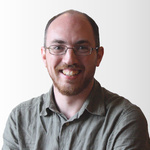 After working for ten years as a Chartered and European Patent Attorney with large clients including Yahoo!, Visa and Accenture I decided to go freelance in 2009. I now assist individuals...Read moreAfter working for ten years as a Chartered and European Patent Attorney with large clients including Yahoo!, Visa and Accenture I decided to go freelance in 2009. I now assist individuals and small businesses at heavily reduced rates.